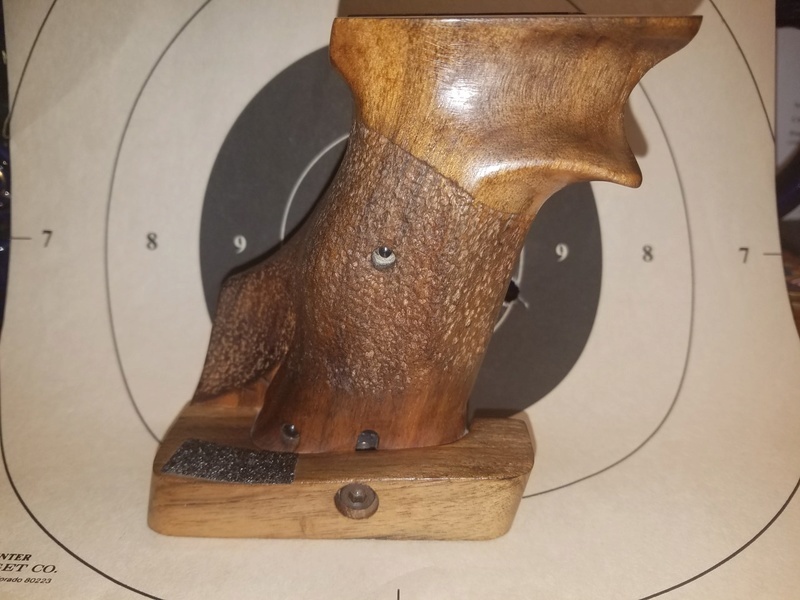 Adjustable target right hand grip for Hammerli 208s. I presume they will fit the 208 and 215 models as well, these in particular are coming off a 208S. The grip has been modified but had been re-textured/stippled. 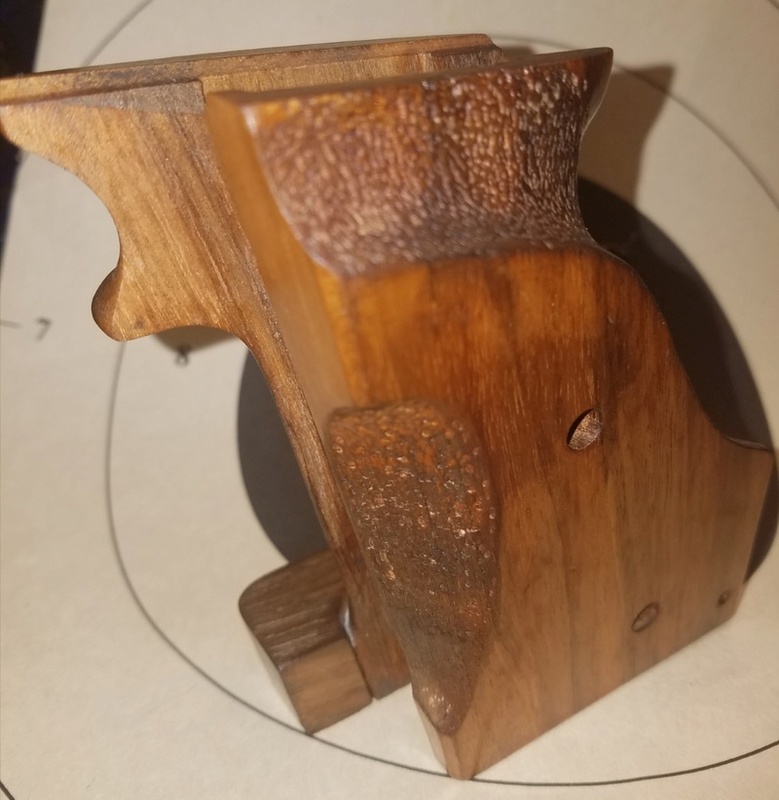 Original gun owner had drilled a hole on the "inboard" side to fin a pin through to the palm shelf to lock it in place. I did not get the pin, nor did the palm shelf location for that pin location. It does not affect the function of the grip, just an extra (tiny) hole. Looking for $135.00 $105.00 or BEST OFFER. Price includes shipping. Papypal F&F preferred/fastest/easiest, or check and money orders too. Feel free to ask any questions. Hmmm...$1350.00? Is the pistol included? Fotomaniac wrote: Hmmm...$1350.00? Is the pistol included? Price reduced to $105.00 shipped. Still available, make an offer. That is a pretty accurate size guess. That is what I would say my stock 215 grip is as well. I also have Rinks for my 215 and the stock 215 grip cannot get as wide on the extreme end of the palm shelf travel as a set of Lg Rinks, but it will definitely work on a hand with a Lg grip size. The previous owner uses a M size grip and the stock grips fit him fine too. Ben, I'm interested in your 208s grips. How about an even $100? I'm sorry, but I forgot to put up that these have sold as of a day and a half ago. Thanks for the offer.